21 People Who Found Their Purpose - and How You Can Too! 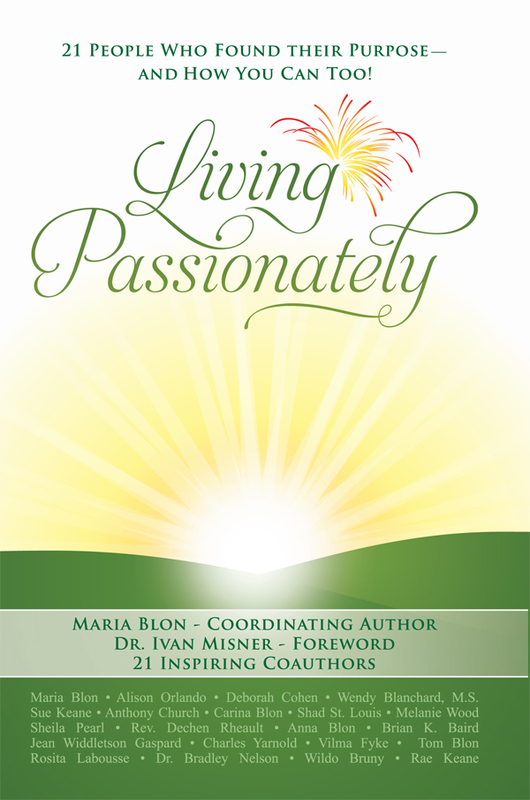 For additional information about this book, visit the website PeopleLivingPassionately.com. True stories of people making a difference--for others and for themselves. At the heart of Living Passionately is a simple truth: when you focus on what matters to you, your passion, you can really “come alive” and change the world. Maria and the 21 authors in this book share how they have found their passions and Maria poses thought-provoking questions at the end of each chapter helping guide the reader effortlessly through a mental journey that too few take the time or energy to navigate on their own. The result? An opportunity to reflect and find your true ultimate passion. To come alive. To change the world. Maria Blon is an international public speaker, published author, and founder of SPARKS! She began her professional life as a holistic math teacher at the college level, teaching students and future teachers to love mathematics through hands-on, interactive learning. Her life has transformed many times, most notably when she and her daughter volunteered in Haiti after the devastating earthquake of 2010. During this time, she helped launch the HEART School in Haiti, where she has trained the teachers and is the President of the HEART Board.